Corporate CPR training is an efficient and effective way to ensure all of your employees have the CPR and associated certifications – and necessary renewals – to remain in your employ. Unlike typically CPR courses, where individual students enroll and attend a class on their own, corporate courses are given to private groups in the location of your choice. In some cases, employees attend their classes at one of multiple Richmond- and Raleigh-area CPR and first aid training centers. In others, particularly for really large groups, American Heart Association-certified (AHA) instructors will come to your place of business and run the courses on-site. Bonus Tip: While corporate CPR training saves you time and energy, there’s another bonus to offering this benefit to your employee: company appreciation and loyalty. Employees appreciate when their employers provide the training required for their job and that appreciation translates into an improved company culture. Keep in mind that “corporate” can also translate as “group.” Have a crew of young adult lifeguards or seasonal employees that require certification? Interested in starting a babysitting club for your area? Interested in doing a family CPR class with all the cousins invited? Corporate CPR training if available to you too. The costs for corporate – or group – CPR certification courses vary according to the number of people in your group and the levels of certification required. We offer a variety of CPR courses depending on the needs of the group. Since the cost per person for a traditional CPR course ranges from $75 to $300 or more, depending on the level of certification desired, you’ll see that the costs for group courses yield significant savings. All of the prices listed below are averages and are quoted for 12-person classes. Extra fees may apply if you have a larger group or if you request that additional topics/certifications are covered. 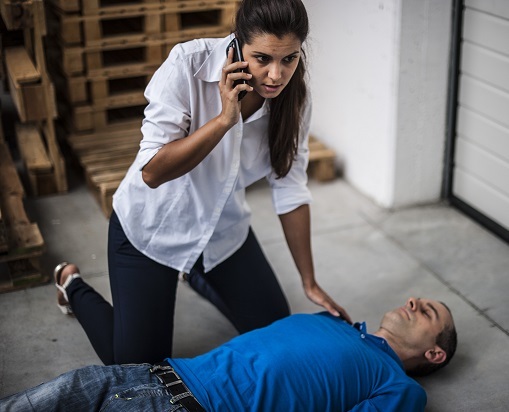 You can customize corporate CPR class to include any additional information or certifications you feel would benefit your employees or group. Most CPR and CPR-related certifications are valid for two-years, after which they must be renewed. In some cases, you may decide it makes sense to have in-person courses for first-time students and offer online renewal modules for the rest of the group. Keep in mind, however, that online courses are done individually and require you or your HR team to track valid certification and renewal dates. This is why most companies opt to have employees attend in-person classes – streamlining in-house paperwork and the tracking of expiration dates. CPR saves lives every day – and the last thing you need is to jeopardize an employee’s or customer’s life if an accident happens and nobody knows what to do. Also, if your industry typically required CPR certification, and your company doesn’t enforce it – your brand reputation is on the line, and litigation is a definite potential. Scheduling corporate CPR classes also makes HR staffs happy, because it’s easier to collectively track who’s certified, and who’s not, without having consulting individual employee files. Interested in scheduling a corporate CPR training course for your employees or special group? Contact us here at CPR Consultants. We provide fun, comprehensive CPR courses, following AHA guidelines. Contact Us to Schedule Corporate CPR Training Today!